I've spend the last few days painting. 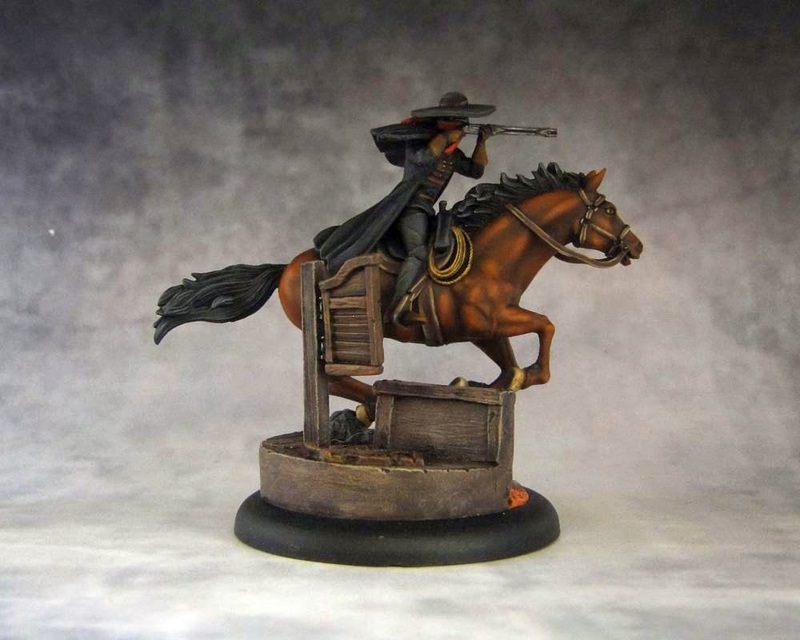 As a result, I've finished Rasputina's crew and also managed to paint the Lone Marshal up. 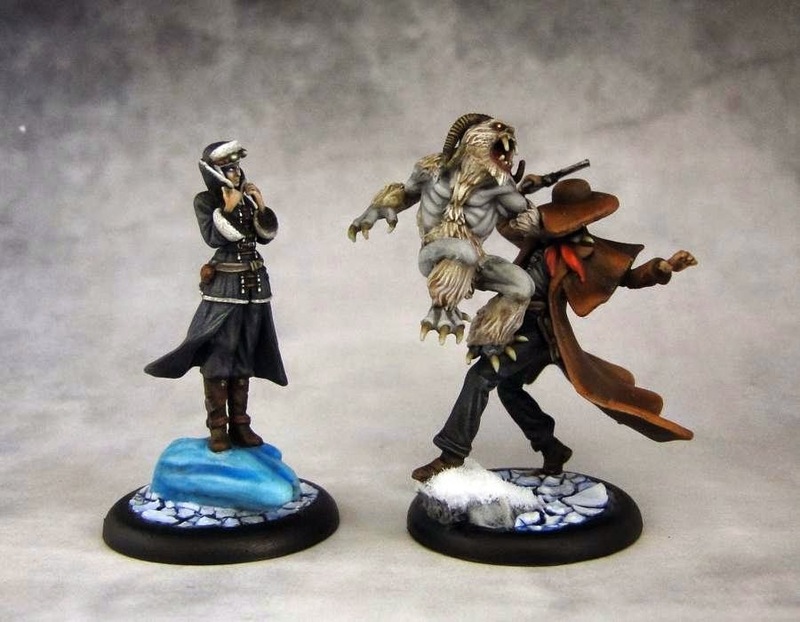 First off, here's Raspy and her totem - the Wendigo. 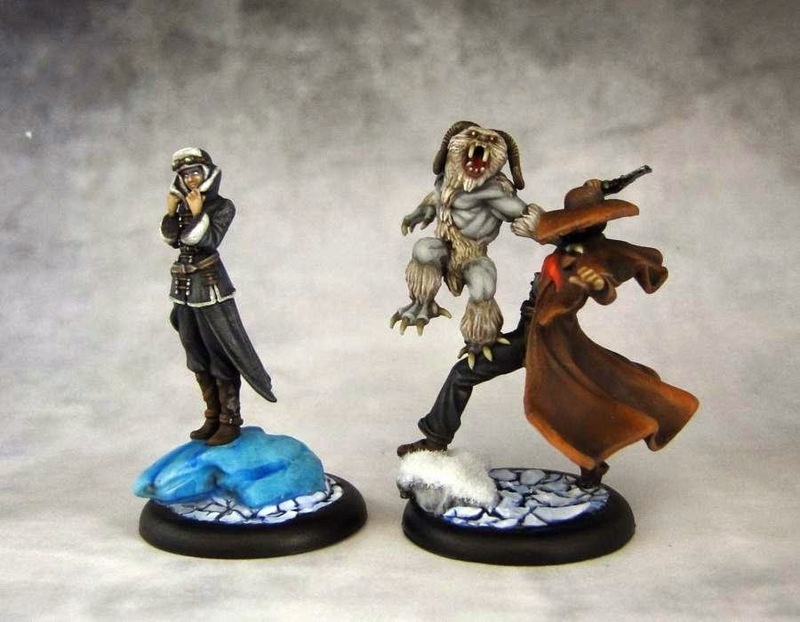 I wasn't a nog fan of the 3d render and the artwork for this version of the classic Malifaux master when I first saw them. She seemed plain and uninteresting. 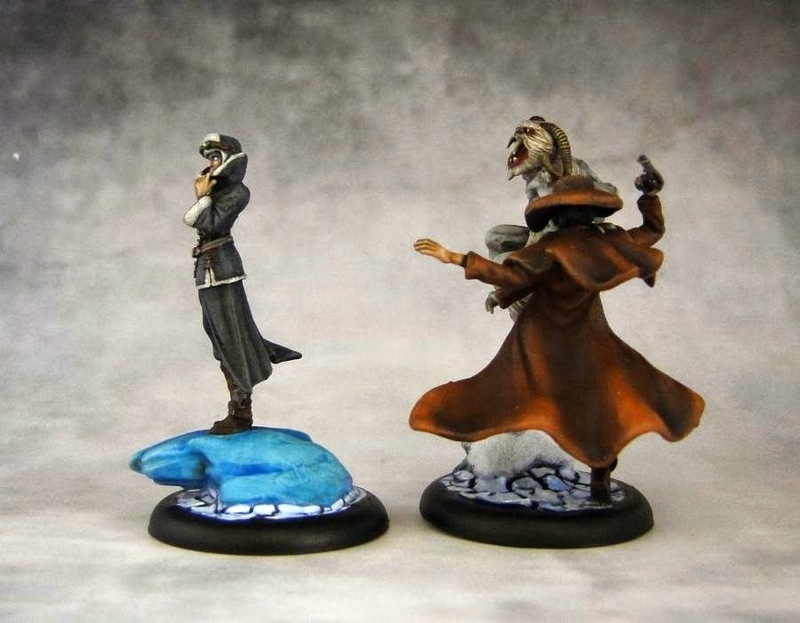 Rasputina is one of the most complex characters in the world of Malifaux. Her story has been an essential part of the universe since the release of book 1. At first glance I thought the new model doesn't do her justice. However, having painted it, I changed my mind. In game she is quite slow and calmly walks the battlefield dealing huge damage to her opponents from the distance. In the fluff, she is presented as completely alienated from other humans, and, to speak plainly, crazy. I think in the end her new pose reflects all that. She calmly stands and looks coldly at her next victim. I had an extra bit that was packed additionally in the box (it originally goes on Ice Golem's arm) so I thought I'd use the spare one for some extra height. Wendigo is a great model. It's very dynamic and has a feral look. Similarly to other models in this crew, I based the color scheme on the box artwork. This meant using whitish colors both on the body and the fur. I've added a touch of brown to the furry parts and kept the rest bright grey. I used Blood for the Blood God on its tongue and painted its horns using much darker brown. I also painted the eyes working up the color from red, through orange and yellow, to a touch of white. While I like the idea and the execution of the other part of the model - Wendigo's victim, I still think it's a bit too large and draws attention away from the totem. I saw that some people choose to use only Wendigo's model and I think it can work pretty well on its own. The victim cal always be used as a Guild Guard/Latigo Pistolero on it own. 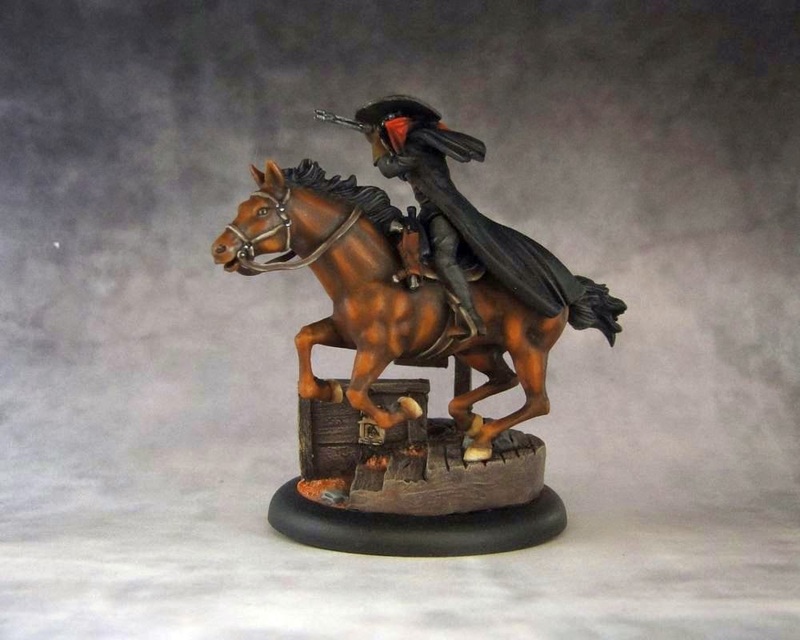 I also managed to paint another big model - the Lone Marshal. I used a Ghost Town base insert for extra height and a touch of special atmosphere to the piece. Painting the horse was more time consuming as it's quite big and has some extra details (rope, gun holster, reins). It has a very nice dynamic pose that goes well with the rider positioning himself for a good shot. It's basically a mounted Death Marshal so I kept the colors dark, adding some variety with blue glasses and red bandanna. I'm going to take a short break from painting for a while now but I'll be back in August with Ten Thunders. 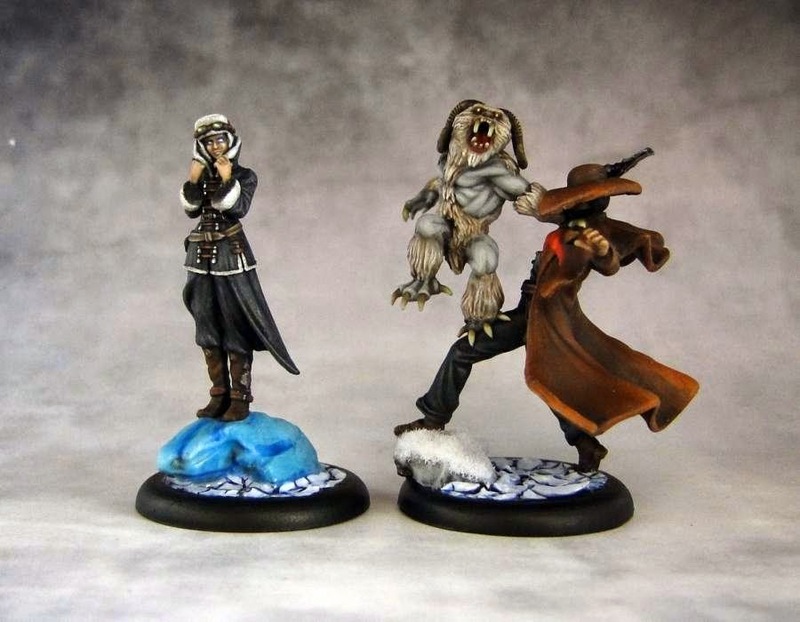 I've already had a chance to paint Jakob and McCabe's crews from this faction but I look forward to working on Misaki's crew. 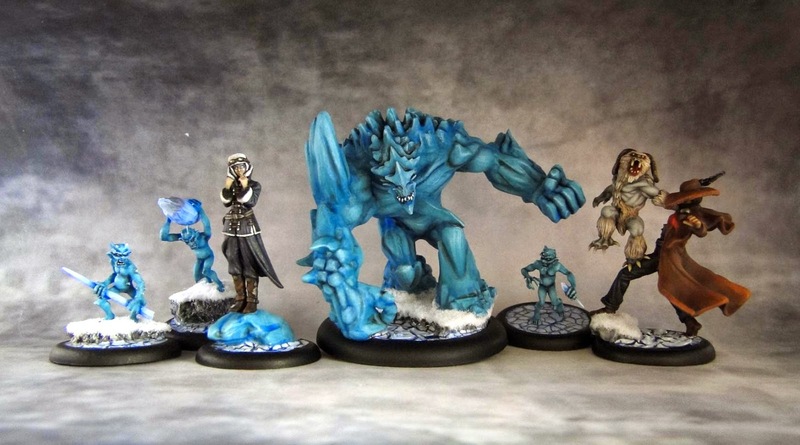 Some really great models in it and a chance to work with much brighter, more vivid colors.